It’s that time again, folks. 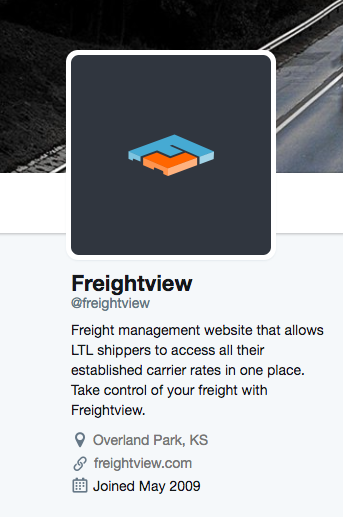 Freightview contest time! All we ask is that you give us a follow on twitter and give us a retweet. (Pick a tweet, any tweet.) No seriously, that’s it. If you follow those two simple steps you will be automatically entered to win a $50 giftcard on us. You can’t win if you don’t enter. One entry per twitter handle is allowed. That means multiple people from your company can enter. We will announce this month's winner in our April newsletter. Enter by March 31st to be considered for this month. Go on.. You know you want to get yourself something nice on Freightview’s dime. We’ll see you on Twitter.